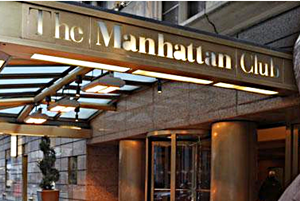 Last Thursday a jury awarded Antonio Muñoz — a 50-year-old HIV-positive man more than $500,000 in a wrongful termination suit against the Manhattan Club, in NYC. Muñoz’s termination came in February 2011 when he received a suspicious complaint against him after filing a discrimination complaint against his employer. Muñoz had explained to a supervisor that he was being treated for a chronic condition that required him to take a medication at night that causes drowsiness, his lawsuit stated and he asked to be moved to the day shift. His supervisor denied the request. Even after he produced a doctor’s note, his supervisor not only turned him down, she suggested that he quit, the suit says. Muñoz was eventually put on a day shift but it didn’t last. His supervisor told him he would be put back on nights starting April 30, 2010, prompting Muñoz to file a “complaint of disability discrimination” with human resources. He was fired in February 2011 after an anonymous — and suspicious — complaint was leveled against him. The following year was miserable for Muñoz, who struggled to find work and lost his apartment to foreclosure..
On Thursday, a jury awarded him $185,000 in compensatory damages and $347,500 in punitive damages to be paid out over 3 years.